Haha! Looks like me when I attempt cross country skiing. 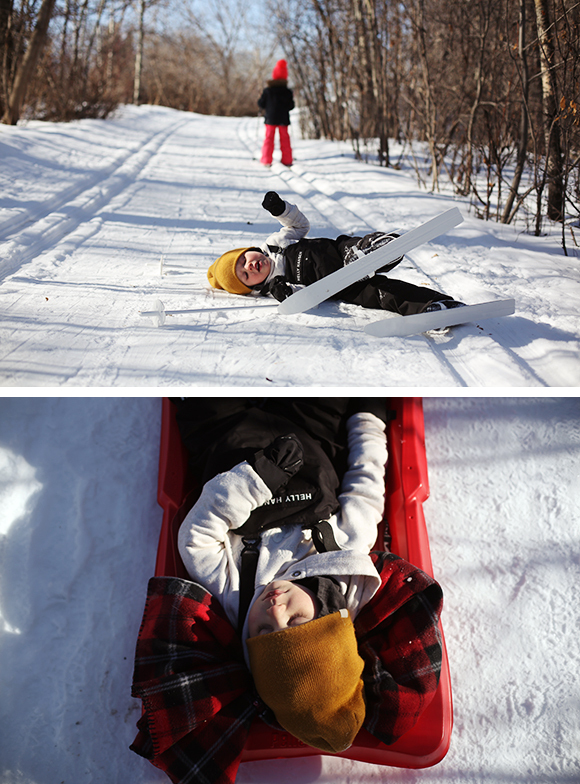 Thank goodness for moms with sleds!